Lizzie lives in a retro trailer at the beach. Her flip-flops go shuffle shuffle across the rug, smack smack on the floor tiles, and thwap thwap down the stairs. Lizzie takes her blow-up pal, Lou Seal, with her everywhere. Lizzie and Lou Seal race out of her trailer, over the boardwalk, across the sand and down to the water's edge. 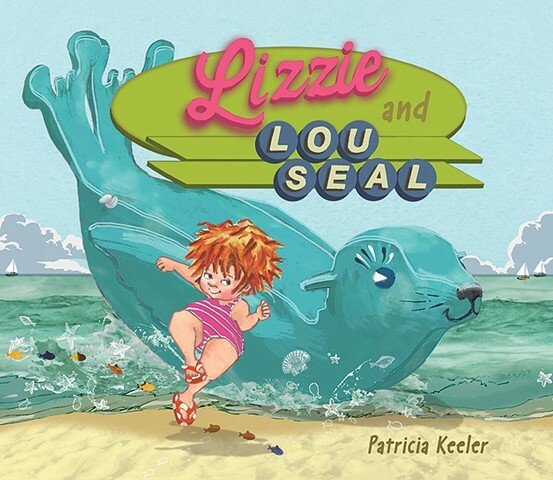 Lizzie and Lou Seal are off to have seaside adventures, but beach fun turns to beach disaster when Lizzie loses her flip-flops and Lou Seal starts losing air! It’s a sink or swim scenario. What will Lizzie do?